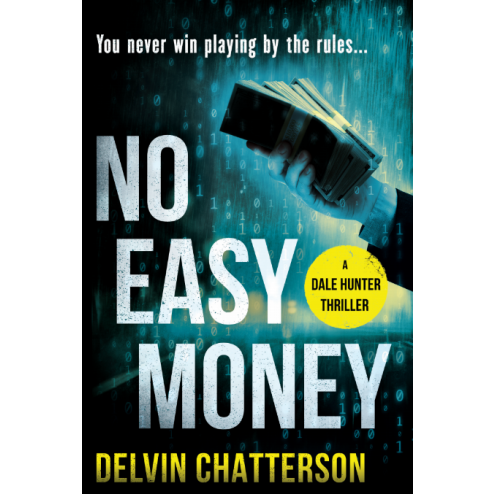 NO EASY MONEY, first in the series of Dale Hunter Crime Novels, is an explosive mix of crime, cash and computers in the 1980s. This is the story of a young entrepreneur in the computer business under attack by the gangsters and Mafia of Montreal. He wants to survive and not play by gangster rules. Somebody is going to get killed. Delvin Chatterson, Author. An entrepreneur and business advisor, consultant, coach and cheerleader for entrepreneurs, Del Chatterson has written extensively on business topics for decades. He is now writing fiction with this series of Dale Hunter crime novels and a short story collection in progress. Originally from the Rocky Mountains of British Columbia, Del has lived and worked for the past forty years in the fascinating French-Canadian city of Montreal, Quebec.